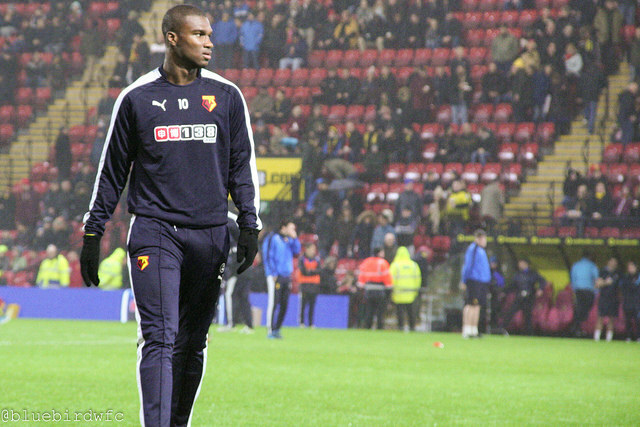 A tricky season for the Dutchmen with limited appearances in his debut season at Vicarage Road. This signing has to go down as a failure with Berghuis making an impact in just a few games towards the end of the season. He struggled greatly in brief substitute appearances towards the start of the season and spent a lot of the time with the clubs under 21’s side despite Quique Sanchez Flores’s men lacking goal throughout the side during the campaign. That speaks volumes however we have seem glimpses of real quality from the 24 year old meaning signs could be there for the future despite a poor impact this season. It never worked out for the Italian with the former West Ham man only appearing a few times as a substitute. Even then he looked way off the pace and unlikely to ever challenge for a start meaning this was a real waste of a signing. This was realised when Diamanti’s loan was cut short and later went to join Atalanta on loan in January. The 20 year old arrived from Club Brugge as a hot prospect with the 6ft 4′ striker very much one for the future. Having said that when you see the likes of Dele Alli make a huge impact at the same age you have to expect some sort of contribution especially when the club spent a lot of money. Oulare only made rare appearances just sitting on the bench and only made one start in the FA Cup across the whole season in which he looked a bit clueless. As harsh as it is, you can’t feel a little bit disappointed especially when Watford had no cover for Deeney and Ighalo. However this signing will ultimately not be judged this season. A fans favourite, Guedioura returned from a hugely successful loan spell last season, making the switch from Palace permanent. He was again used sparingly until the end of the season where he featured more regularly putting in some good displays. The Algerian scored the clubs goal of the season and can’t go down as a failure as a signing. You do wonder whether Guedioura will have a future of the club with so many central midfielder’s at the club however he made a small impact this season which can probably justify a small transfer fee of under a million. Just the four appearances for Ibarbo in what turned out to be another odd signing. He only managed 64 minutes in total which means its impossible for fans to judge the Colombian as a player however to sign a player who then barely played for the club has to go down as a failure. 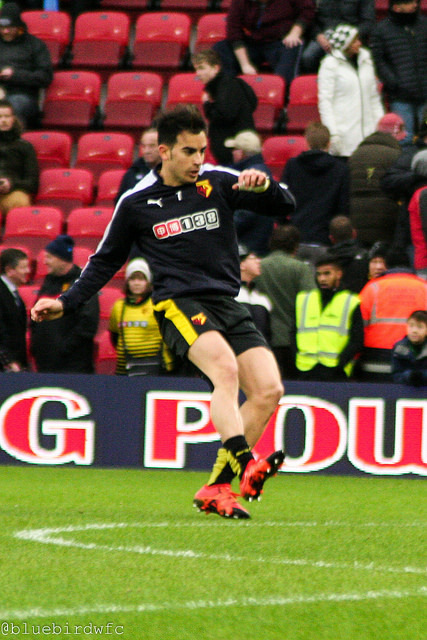 The 29 year old was brought into the club in January to make an impact and provide another attacking option however Amrabat hasn’t justified the fee paid for him having made just 12 appearances in total, a lot of those coming as a substitute. I have a feeling that this signing will not pan out as its an expensive fee to pay for a substitute. The Moroccan was always lively when he played and showed good quality at times however he was not always dependable with his inconsistent tracking back and ability to lose the ball equally as likely as providing something with the ball. For a January signing though you cannot make too many conclusions but Amrabat has not made the desired impact. Brought in to provide competition for Gomes, the Romanian was the number 2 Goalkeeper for the club where he made appearances in the FA Cup. The 6ft 8 giant didn’t do too much wrong but it is difficult to judge his signing in such few appearances. 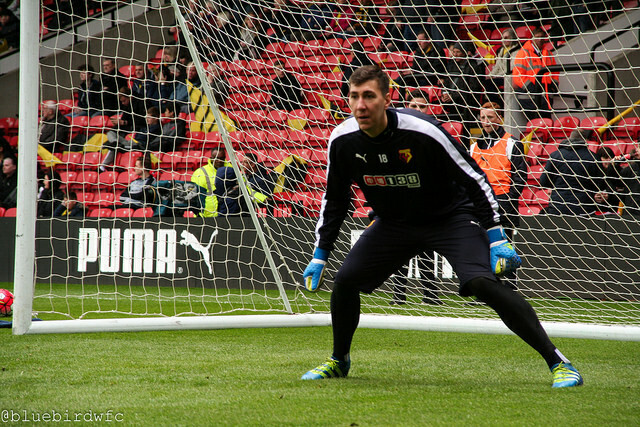 His time at Man City and Sunderland should mean that Watford have signed a good goalkeeper particularly if he is to be second choice. A few competent displays but disappointing from the January signing as he arrived with pedigree. The former Atletico Madrid man was off the pace of the game quite a few times and struggled to stamp his authority. He has got ability though and you would like to expect more next season where I feel he could benefit from a different system. Ben Watson and Suarez were often on the pitch at the same time which simply didn’t work and you wonder if Suarez was deployed as the only defensive midfielder how he would have fared but based on what I’ve seen he has not been able to impress the Watford faithful so far. Watford fans, do you agree with these ratings? Let us know in the comment below!